This class, led by Pastor Kim, is studying Max Lucado's "Experiencing the Heart of Jesus." This is a great study and a wonderful way to begin your Sunday morning! This Sunday School class, taught by Ginger, is an exciting class for kids - putting the basics of Christianity into fun activities and language just right for their age. 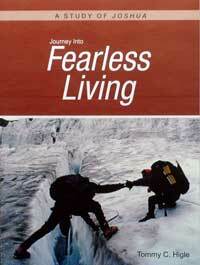 "Journey Into Fearless Living" Not once does Joshua show any fear of doing God's will. Not once does the Bible record anything he intentionally did contrary to God's will. God gave me the title for this study of the book of Joshua through my wonderful wife Virginia. It is the perfect title for a study of this book. Lesson titles include: Developing Fearless Faith, Experiencing a Miracle, Maintaining Fearless Faith, Experiencing God, Facing Your "Jerichos," Avoiding Sin, Turning Blunders Into Blessings, Making Good Decisions, Maintaining Your Integrity, Finishing Life Well, Finding Refuge, Staying on Track Spiritually, etc. 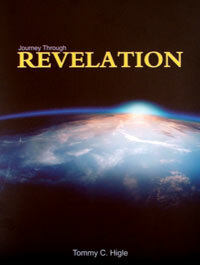 "Journey Through Revelation: This is a 26-lesson study of Revelation. In this "journey," you will first be able to find yourself and your church in one of the seven churches. Then, through John's visions, you can take one of the most fascinating journeys in the Bible. Lesson titles include: Getting the Most From This Study, When Life Is Tough, When You're Suffering, Avoiding Worldliness, When To Be Intolerant of Tolerance, Rekindling Your Spiritual Life, The Seven-sealed Scroll, The Four Horsemen of the Apocalypse, Six Key Personalities of the Great Tribulation, The Millennium and The Great White Throne Judgment, What Heaven Will Be Like, etc. We just began lesson 16 of 26 with so much more to learn. St. Paul's is hoping to begin a high school youth group THIS YEAR! Check back for details. The men meet on the first and third Wednesdays of each month at 7:30 am. The first Wednesday the men eat breakfast at the Ihop at Wadsworth and 52nd. The third Wednesday they take turns making fabulous breakfasts at the church! The morning continues with prayer, then discussion about church business. These men have purchased many things for our church, including a new sound system, and contributed towards the new parking lot, the new landscaping, the remodel of the Men's Restroom and many other projects. All men of the church are invited to come to the breakfast! The Women's Fellowship meets on the third Thursday of the month and share lunch together. Usually this is a bring-your-own brown bag lunch, with occasional potlucks, picnics and special meals throughout the year. This fellowship is not only a great time to get to know the women of the church, it is also where much of the church business is conducted. The women generally organize the Fall Festival, as well as many of the missions that St. Paul's is involved in. Feel free to join us, and discover how wonderful the people of St. Paul's really are!